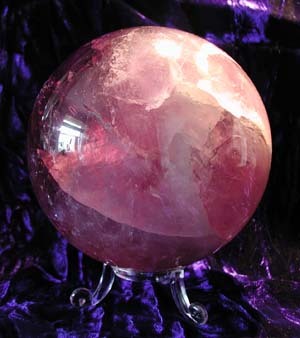 Home › Spheres › Amethyst sphere, Keeper of Counsels – Belonging, Mattering, Wisdom. 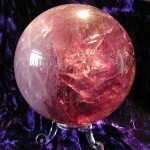 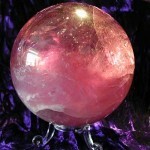 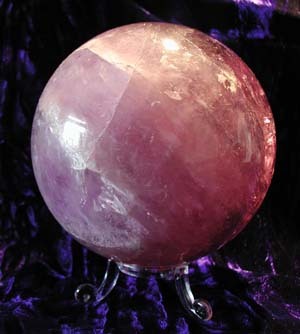 Amethyst sphere, Keeper of Counsels – Belonging, Mattering, Wisdom. 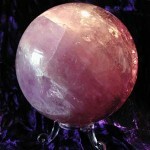 Tagged as amethyst, quartz, sphere. 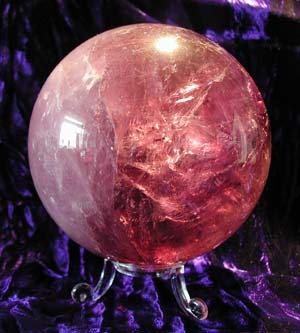 This sphere is very strong in earth energy, projecting great stability and gravity. 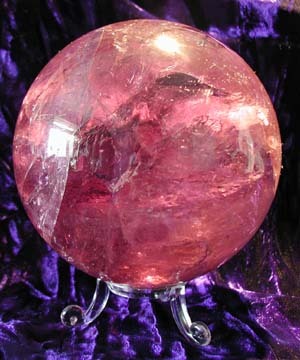 It is a very calming sphere to be with. 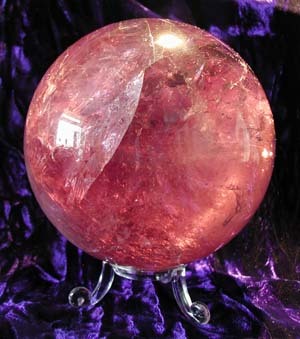 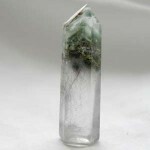 This sphere would be profund in the magic of grounding and centering. 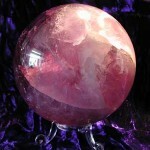 It speaks counsels of wisdom, amongst those, seeing the bigger picture while not losing sight of the current one. 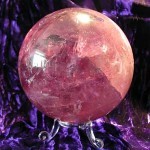 It also speaks of belonging and mattering. 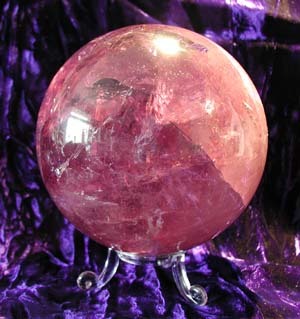 Type: Amethyst sphere. 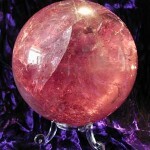 Its colour is “normal amethyst”, not the pinky colour of the pictures. 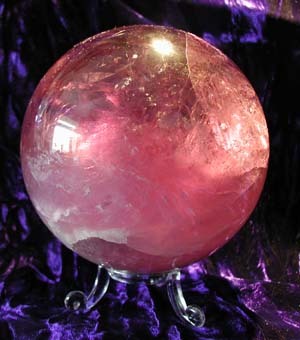 This image gives an indication of the sphere’s true colour, however it is not the sphere itself.